Started in 2011, The Amazing Girl and Miss pageant (TAGM Pageant) is a forward thinking pageant that provides the winners with professional runway modeling and acting training. Our pageant is all about giving the winners the exposure they need to succeed in the future. 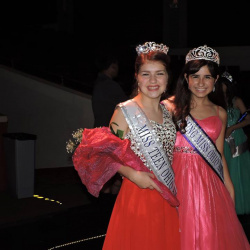 We offer preliminary pageants, state pageants and a National pageant. Our queens also receive opportunities in public relations, public speaking, on camera speaking, print modeling, volunteerism and state tourism. We offer 4 divisions: Little Miss, 7-10, Young Miss, 11-13, Teen, 14-18, and Miss, 19-27. We feature our queens on all of our social media sites including our very own online magazine. TAGM pageant looks for girls that are confident and enjoy being the center of attention. She should be able to engage the public and be open to meeting people from all walks of life. She also needs to be innovative, creative, smart, funny, and talented.